The Friends have uploaded two Financial articles analysing the developers’ financial claims – this one on “Enabling Development” and this one on Maintenance Costs. Please read if you haven’t caught them already. We will house them with other important articles under Key Articles on the menu tab. Last week we had a visit from the Woodland Trust who came to see for themselves the threat to this beautiful landscape designated of Great Landscape Value. We were particularly honoured when we found out that Alice was Environment Campaigner 2010. Thankfully the weather was very kind and the grounds looked as lovely as always and Alice got to see for herself just how important this site is to people. The Woodland Trust have been hugely supportive of the campaign and have made The Friends one of their Woodwatch groups. It was really lovely for the Friends to be able to meet Alice in person. 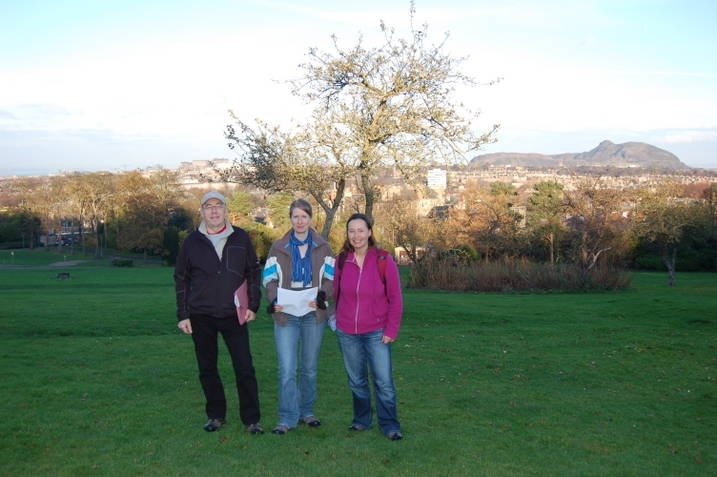 Here is Alice, Graham and Tana – our Woodland and Wildlife Liase – on the orchard, standing against that stunning view.